Access Profiles, Inc.: Small Business Tips from “People in the Know” Part 5 ~ General Tips from Real Small Business Owners! 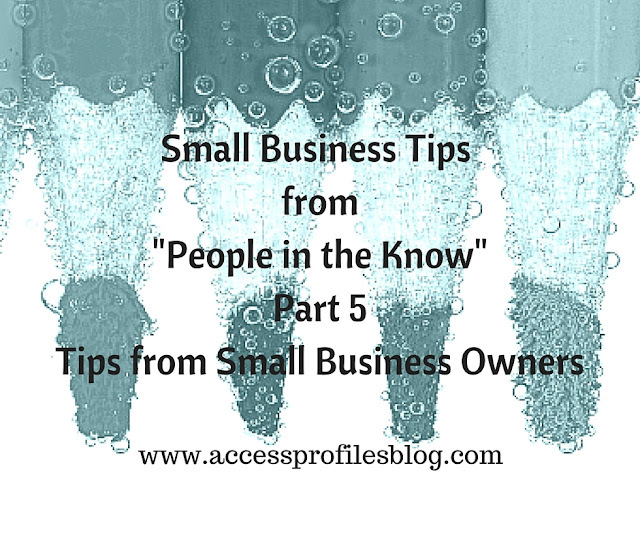 Small Business Tips from “People in the Know” Part 5 ~ General Tips from Real Small Business Owners! This Small Business Series has shared with you many tips to help You first get your business up and running and then keep you on the right track. You have learned about Set-Up and Finance (Part 1), Hiring and Background Checks (Part 2), Social Media and Marketing (Part 3), and Networking and Presentations (Part 4). to find out what works! There is nothing like getting information from someone who has been there. Your Best Small Business Tips come from Small Business Owners! "Tweet This"
Joe Soltis, of Soltis Consulting, was one of my very first online connections (*Source1). Over the past couple years, Joe has been very generous with information, support, and friendship. 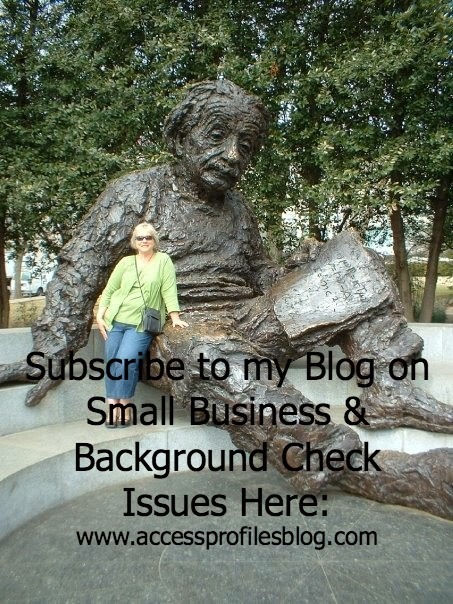 Joe has written some very informative articles geared toward Small Business. The goal of branding is to impart your solution into your customer’s brain – thus, when the problem arises, they recall your brand as the solution. One pressing marketing challenge is to focus our attention on the problem recognition phase – we should focus on our customers while they are framing their problems so we can create the right content and branding messages. Doing so allows us to present the right information for their angles of approach. 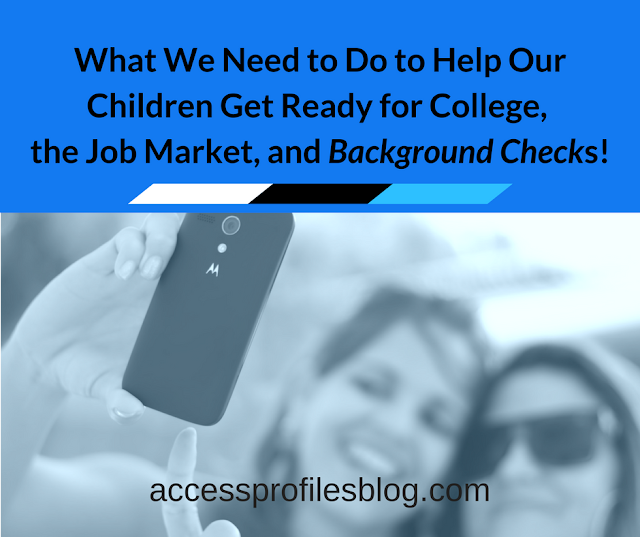 The process of purchasing begins when an individual becomes aware of a need. Once they have identified the problem they wish to solve, they begin searching for possible solutions. They gather information – refining and evaluating the criteria that will affect their decision to buy; they narrow their choices by choosing the best alternatives and; once the choice is made to purchase, they engage in the act of buying. It is important to understand that deciding to buy and actually buying are not the same. In the final steps of the process, individuals reevaluate their decision based on the results. Customer service organizational missions can indeed be applied to marketing. Customers should be valued as people and shown courteous and concerned attention to their needs; services will be provided For (not “To”) customers; customers deserve value and honest communication; and the service process should make sense. Care and Respect, Integrity, Accuracy and Thoroughness, Harmony and Unity. Most clients instantly know how they are emotionally impacted and how they feel about it from the moment they interact with our business. Experiences are memorable and our clients want and expect to be positively; emotionally; and memorably impacted at every level of their experience with us. Benefits of Adding Emotional Value as a Core Aspect of Our Business ~ As business owners, adding Emotional Value to our client’s experiences is one of the strongest competitive advantages we possess and it requires us to upgrade our business operations so they positively impact emotion with our clients. To be competitive, we need to produce a distinctive; personal; and emotional experience; We need to know and understand how to interact in an emotionally intelligent manner; We need to possess a gift for listening and being empathetic and; Deliver the highest quality of emotional interactions and feel good about the time we spend with our clients. Penny Perasso understands both the creative and practical sides of running a business. Let customers know how much you appreciate their business! Do not waiver on pricing to get the business. Low-balling will lead to problems with time management, overhead and attitude. Be fair and offer discounts if they are available but do not slash prices when pressured by aggressive customers. Take the time to offer your customers options when they are unsure...it's your product or service, invest some time in good customer service practices. A logo, as defined by Wikipedia, is a graphic mark or emblem commonly used by commercial enterprises, organizations and even individuals to aid and promote instant public recognition. Your logo represents your business and although it can consist of a typeface without a graphic element, the typeface should be a good representation of the business. Color and your graphic element also plays a big role in how people perceive your business. The biggest consideration is the market you're targeting. Do you think the "Dodge Ram" logo would work if the typeface was a curly, feminine, pink cursive and the ram looked like a stuffed animal? Perasso designed these logos for me. Thanks Penny! Justine Pretorious is a web and social media professional (*Source2). 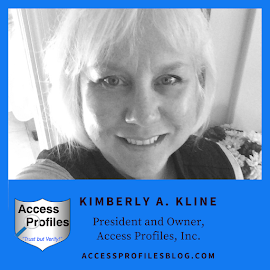 She has helped Small Businesses create a strong website and social media presence to help them grow a professional and competitive online identity. Business Cards ~ Carry your business cards with you at all times. Be ready when an opportunity comes along when you are out and about whether it's personal or business. Having your business card to hand out with your contact information is an opportunity that someone may contact you in the future for your services or products. Social Media ~ A small business owner should not feel like they have to participate in every social media channel that exists. If you are new to social media start out with one and build your community. As you build your community add another channel that compliments your strategy and your business to continue to engage and have a 2 way conversation about your services and products. Social media is not about selling it's about engaging and awareness. Link Website & Social Media ~ Make sure to let your customers know how to find you online by linking your website to your social media channels and your social media channels should link to your website. You should advertise what social media channels you have accounts with by listing them on business cards, receipts, invoices, flyers, and in your shop window just to name a few. 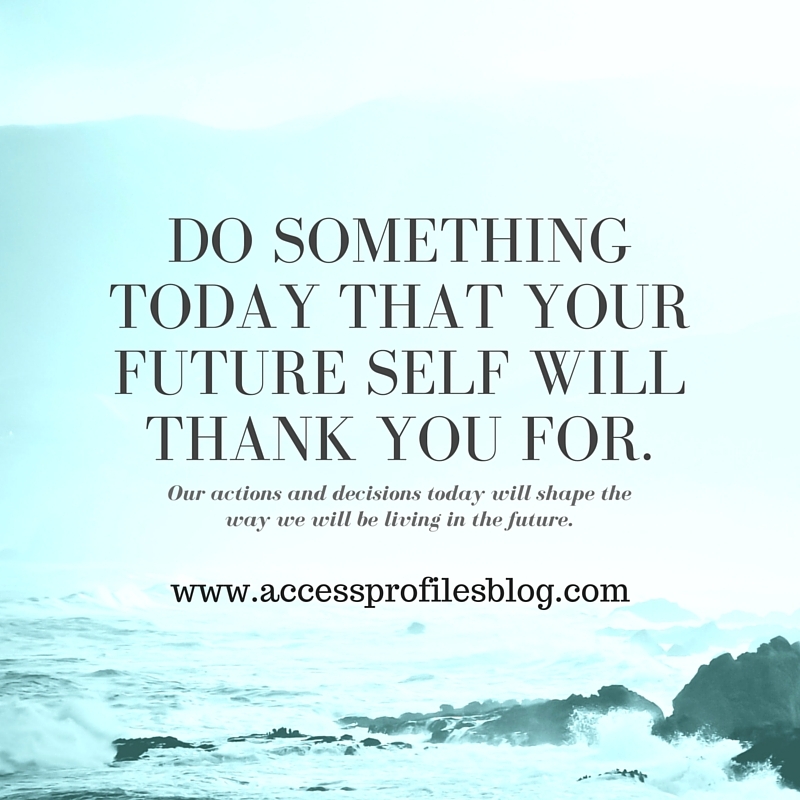 Tools ~ As a small business owner you need all the help you can get. There are all kinds of tools to help you with a variety business tasks you will have on a daily, weekly, or monthly basis. For keeping track of invoices, expenses, and tracking your time Freshbooks is very helpful. If you have multiple social media channels you can use tools like HootSuite to schedule out posts and tweets. Creating a website via a content management system like WordPress can give you a professional, mobile & tablet friendly website that is easy to manage and maintain that can include endless functionality possibilities. Hilaire Henthorne owned her own coaching business for 5 years and is now working as an antiques consultant. Over the years Hilaire has learned what it takes to make your business successful, all while keeping your sanity in the process. Track ROI ~ How many referrals are you getting per month? How many of those referrals are converting into clients or sales? Do you know? How do you know? It’s not enough to believe that “things are going pretty well” or to tell ourselves “I think my client numbers are increasing.” There’s an old saying: The numbers tell the story. So keep track of where you’re spending your time, what you’re spending your time on, and what sort of return you’re getting from your efforts. Manage client expectations ~ Clients will have very definite ideas about what they need and want. Some of those expectations will be reasonable; others may not. Further, while clients may be knowledgeable about their concerns, they are not experts on your business – you are! Therefore, have a conversation at the start about what they can expect from you and what you expect from them. Good client relationships depend on this clarity and mutual respect. You may even have to revisit this topic from time to time, as some clients will initially agree, then “push the envelope” to test whether you really mean what you say. ‘People in the Know’” series. that have been through it and found success is key. We invite You to share your own tips and tricks by leaving a comment on this article or posting them on our Facebook page. *Source1 ~ Joe Soltis, Soltis Consulting, Inc.